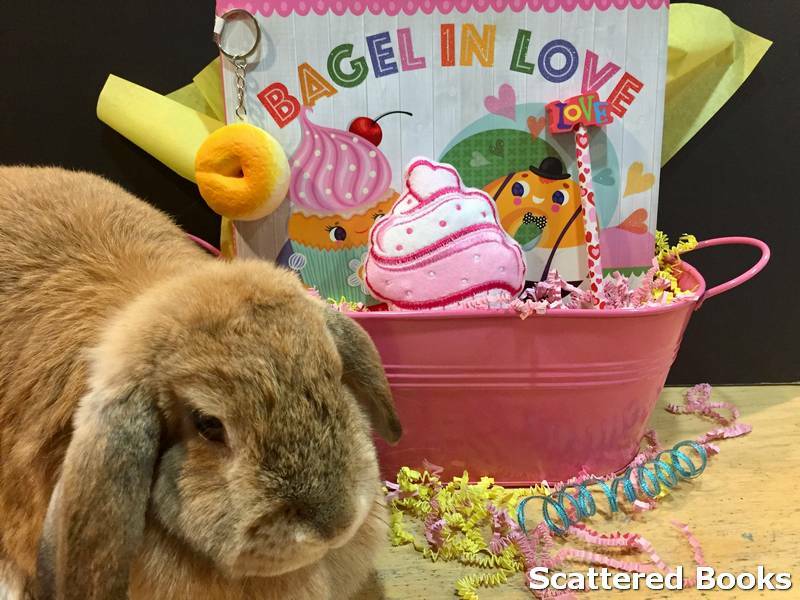 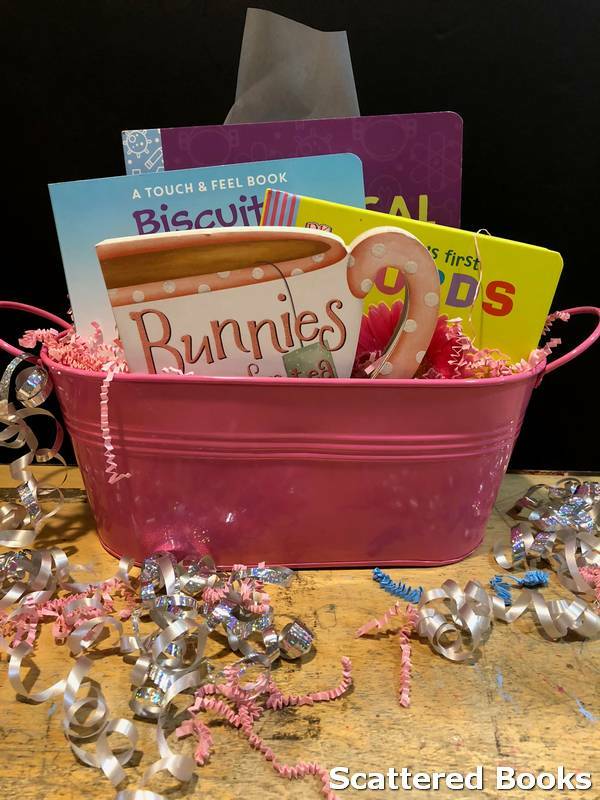 A Custom Basket Makes the Perfect Gift! 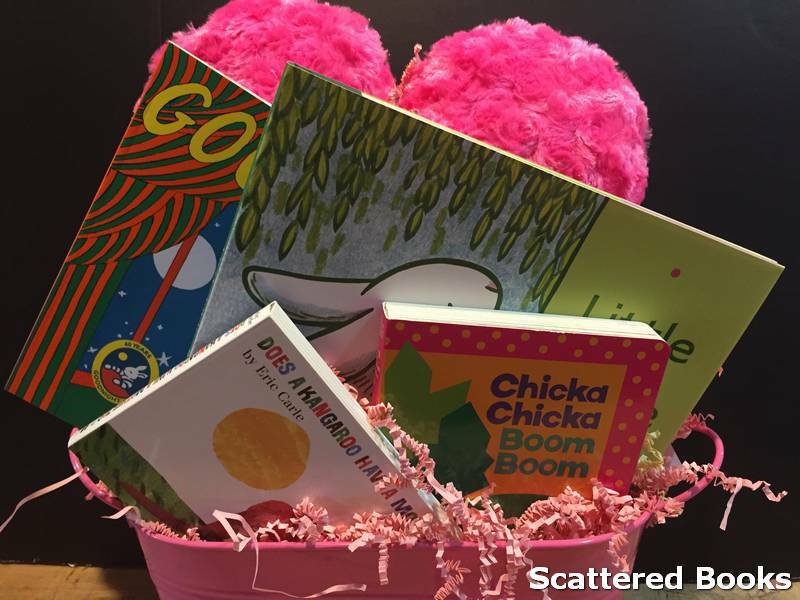 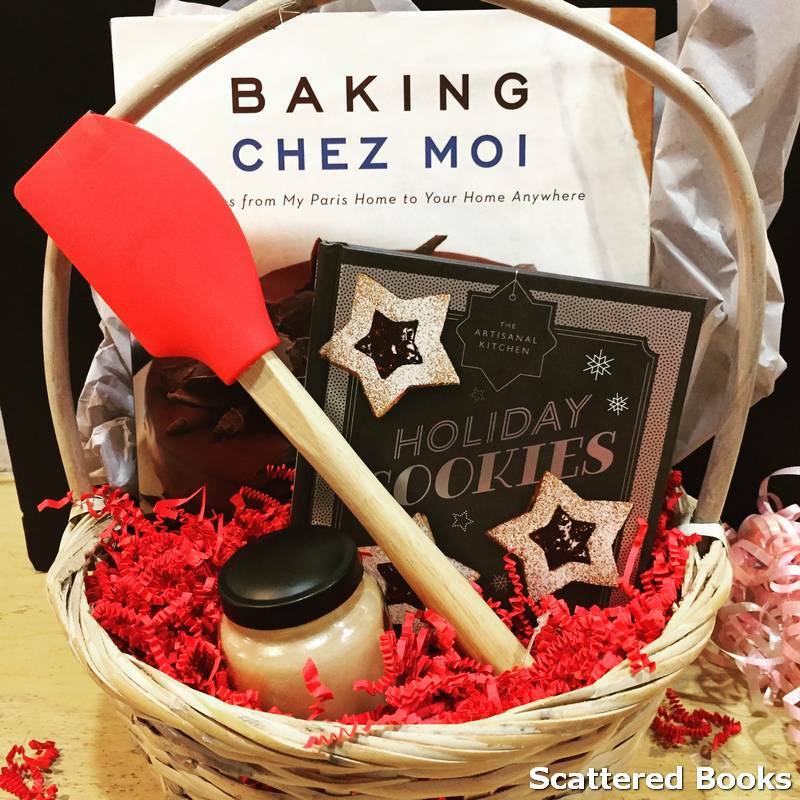 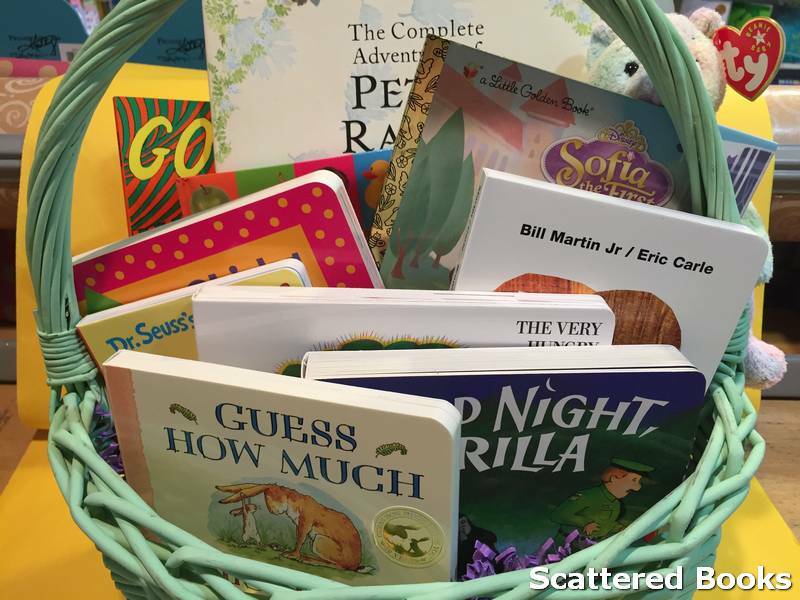 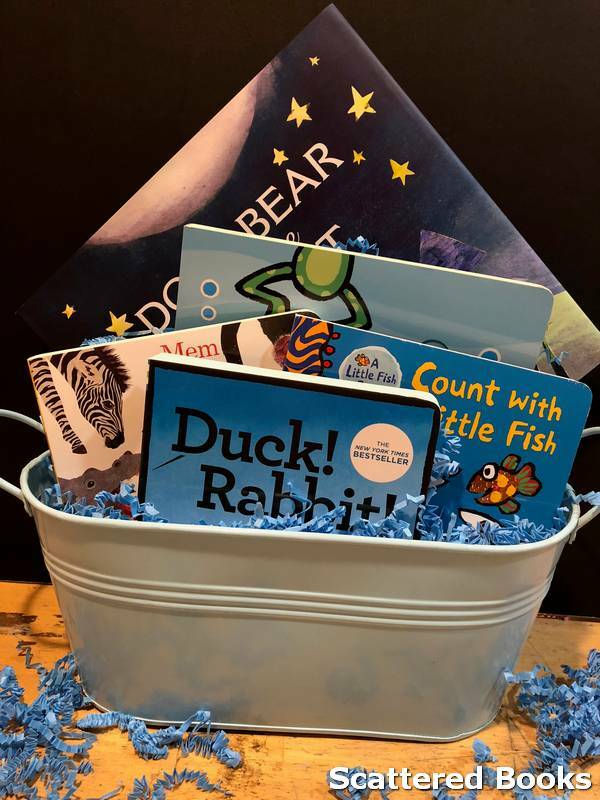 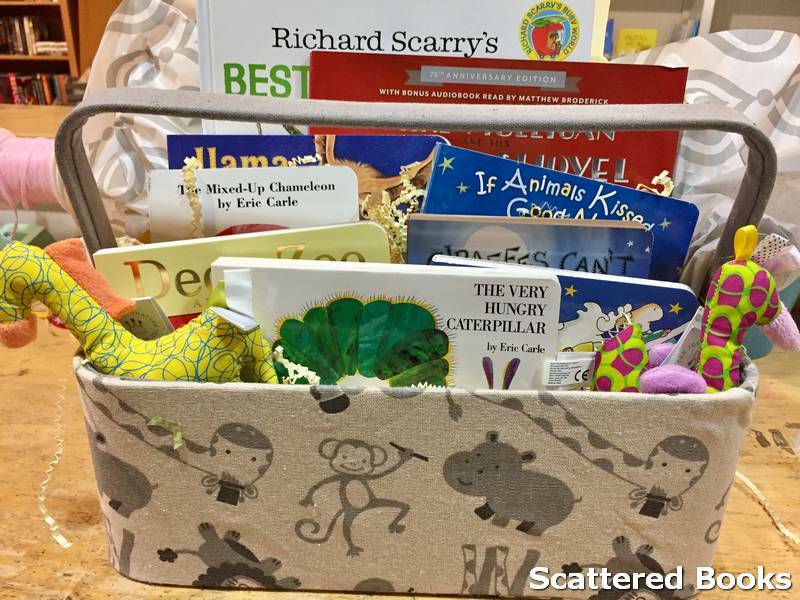 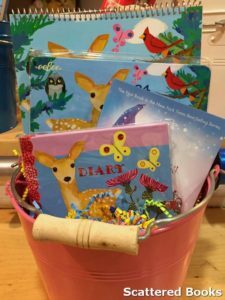 A loaded, customized basket is a great gift idea for the reader in your life by way of a gift set of items they’re interested in. 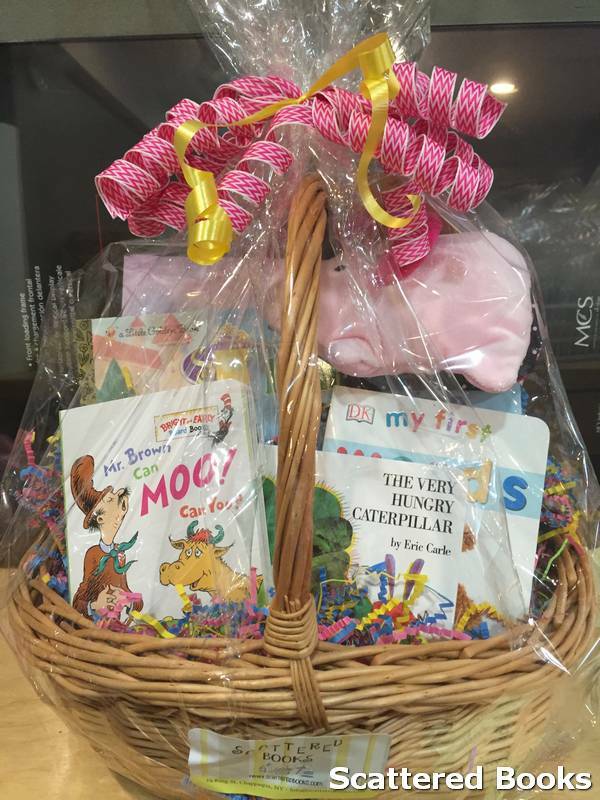 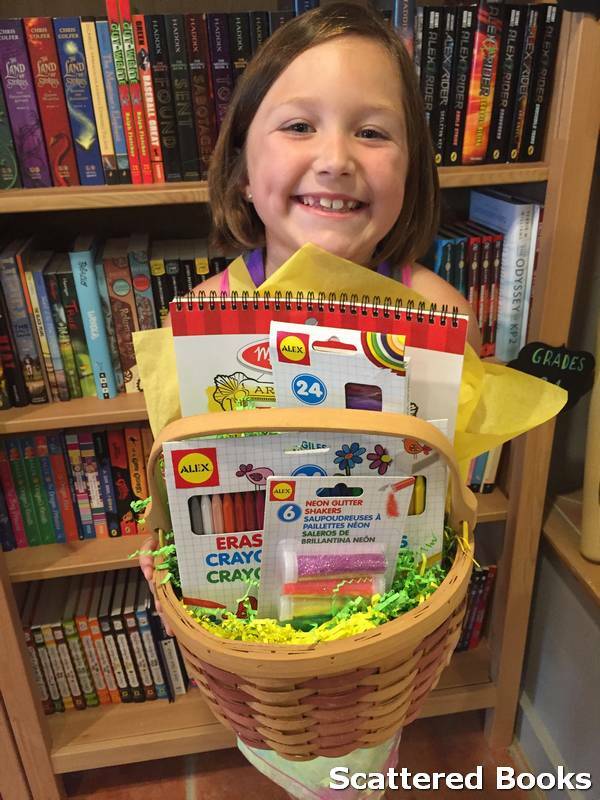 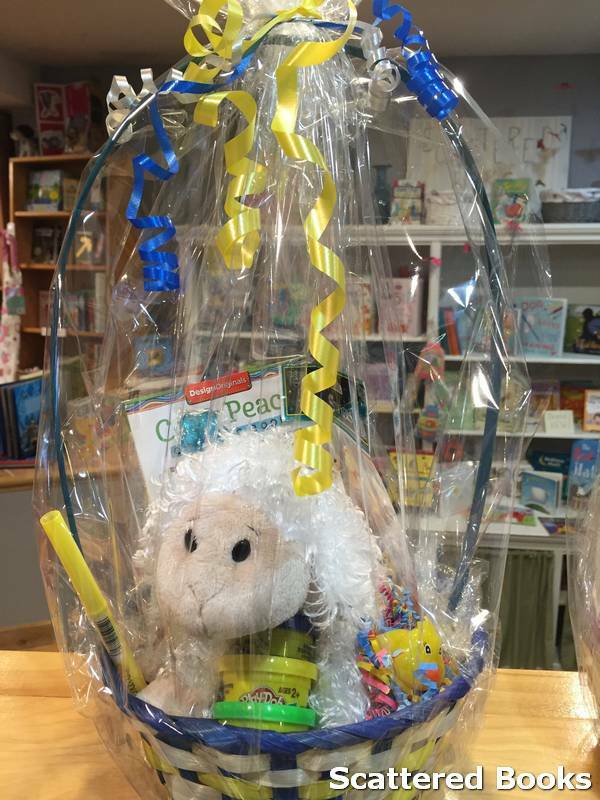 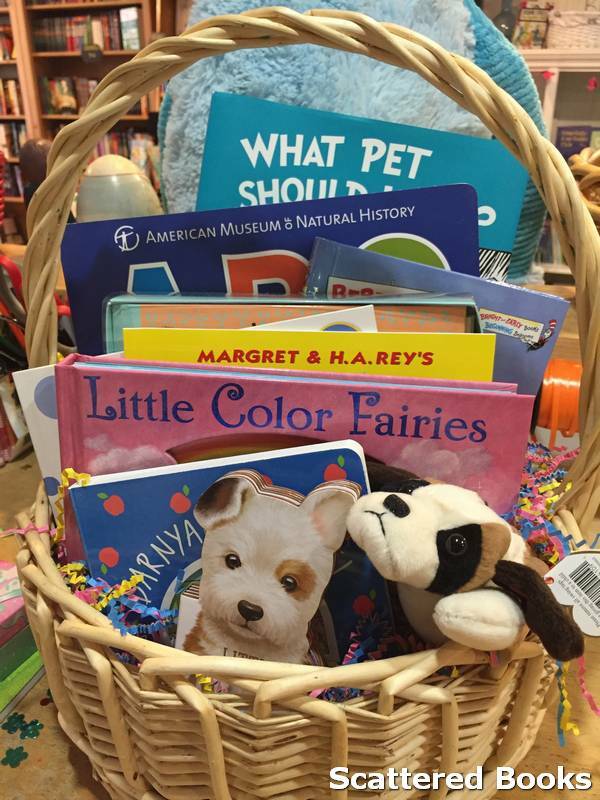 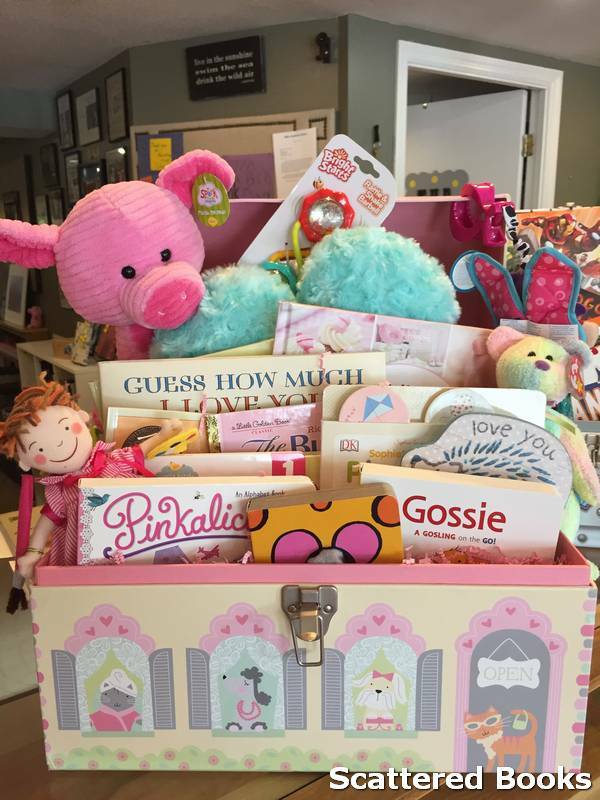 A basket full of their favorite books, coffee, toys, a blanket or other items will make the perfect gift. 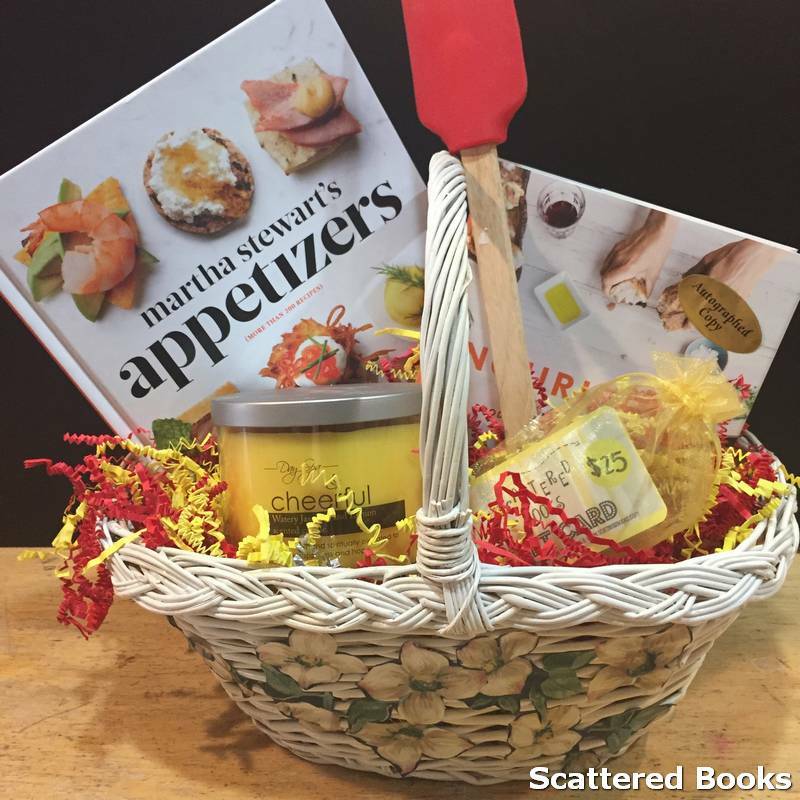 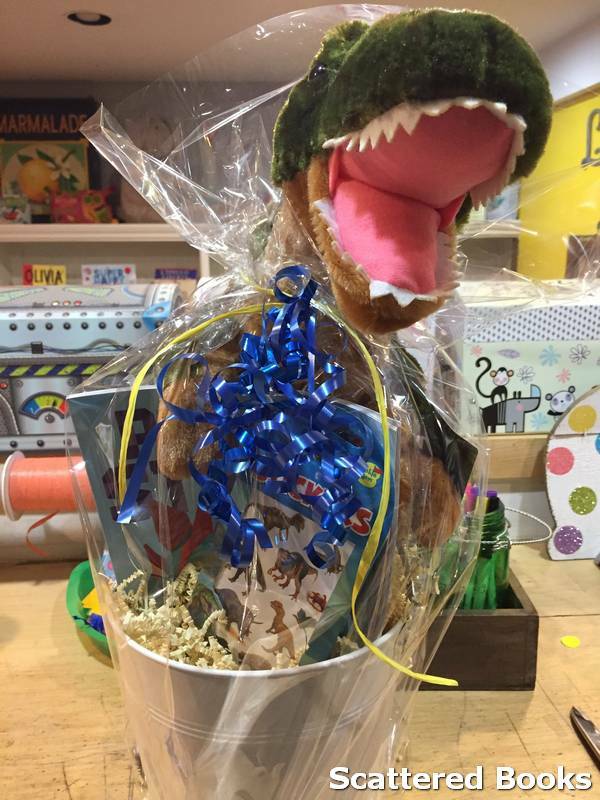 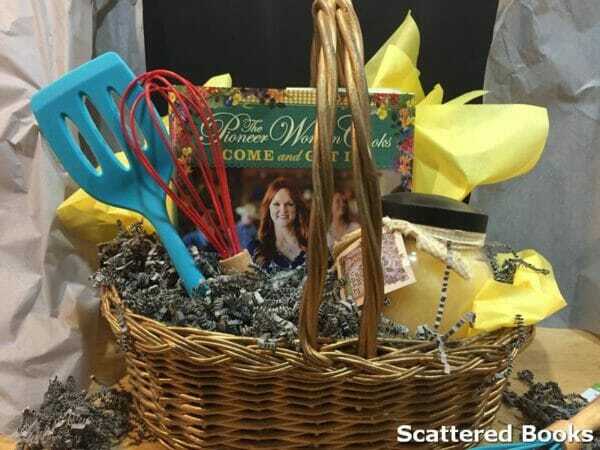 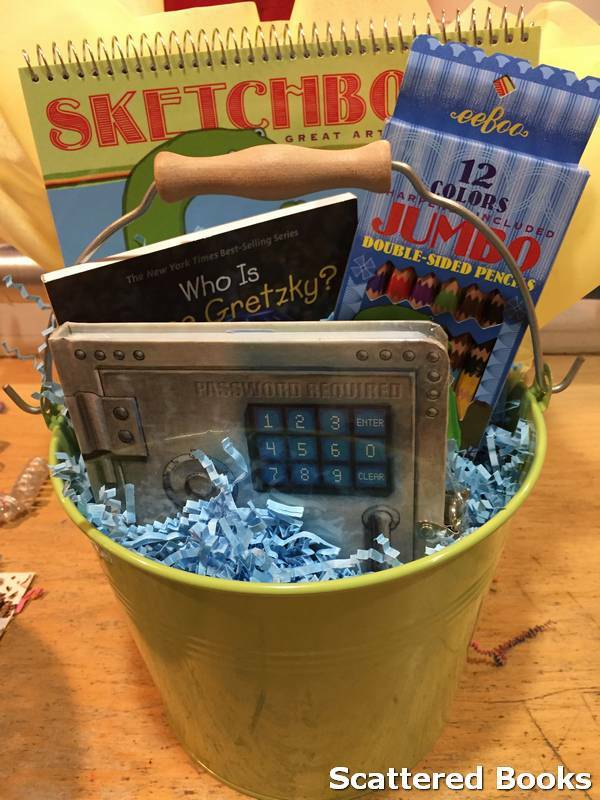 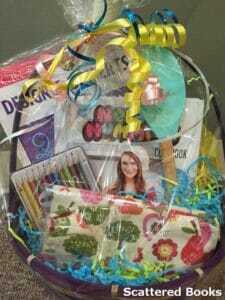 See some of the great gift basket ideas we’ve created below! 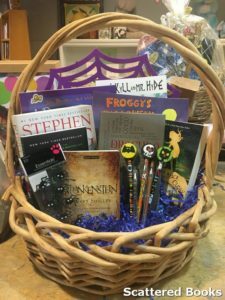 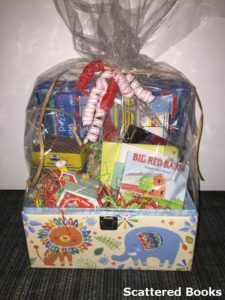 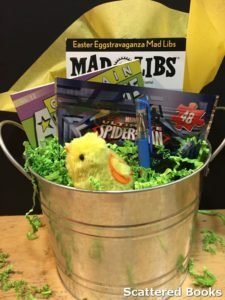 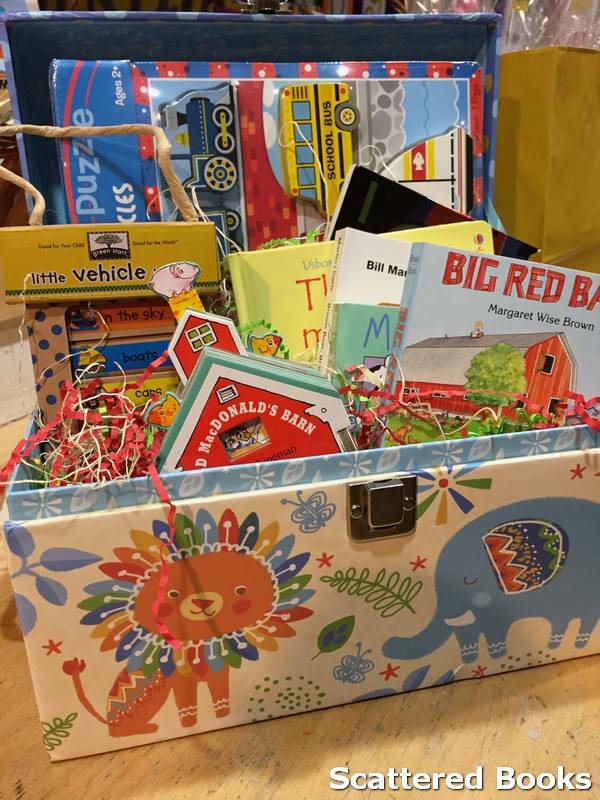 There are a lot of great unique thought starters such as a Train Gift Basket for a young boy, a mystery/thriller gift basket for your fiction book lover. 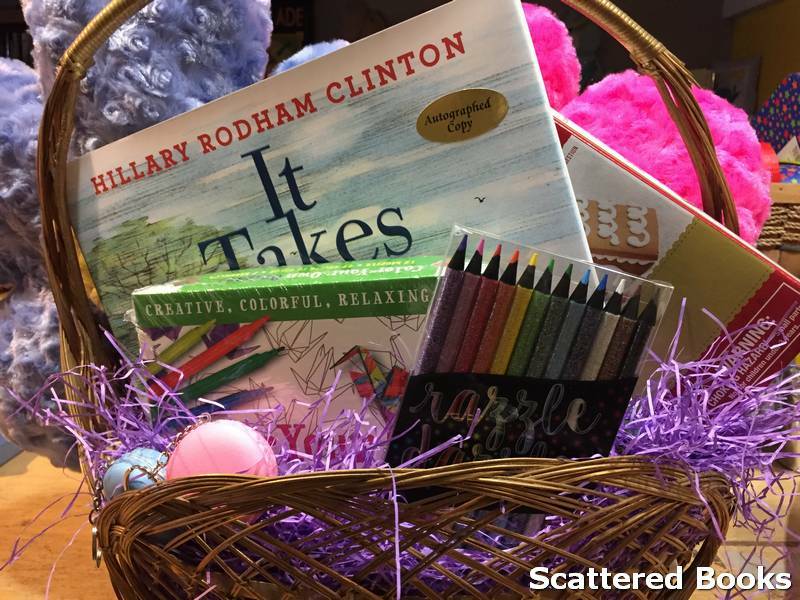 Our favorite baskets come with a bag of Scattered Beans Coffee, a mug, a blanket and your recipient’s favorite books for a great weekend of reading by the fire. Take that last gift idea and change it to sunglasses, a hat, towel, a can of lemonade and some great Summer reads for the ideal beach or pool day gift! We can customize just about anything you need, but take a look at some samples below.